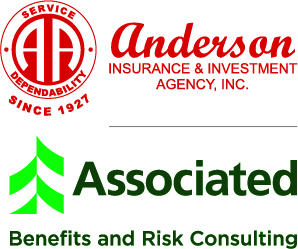 Newsroom / News Releases / Associated Banc-Corp completes purchase of Anderson Insurance & Investment Agency, Inc.
Associated Banc-Corp completes purchase of Anderson Insurance & Investment Agency, Inc.
Green Bay, Wis. – June 1, 2018 – Associated Banc-Corp (NYSE: ASB) (“Associated”) announced today that Associated Benefits and Risk Consulting (ABRC) has closed the previously announced acquisition of Anderson Insurance & Investment Agency, Inc. (“Anderson”), an independent insurance agency based in Minneapolis. Terms of the transaction were not disclosed. Anderson will be part of ABRC, a multi-line insurance and Midwest-based consulting firm with 400 employees. Based on 2017 financials, and the March 1, 2018, acquisition of Diversified Insurance Solutions, the company believes the addition of Anderson will solidify ABRC’s position among the United States’ top 45 insurance brokerage firms. Anderson, which was founded in 1927, adds a range of complementary services and significant expertise in workers’ compensation and executive risk management services. The Anderson team will gain access to Associated’s comprehensive banking and financial services and can further help business owners and executives manage their daily business, take care of employees and achieve all of their financial goals. “These two strong teams will together provide customers with even more options and resources in financial and risk management services to ensure their businesses are as strong and successful as possible,” said Dean Hildebrandt, CEO, ABRC. Key Anderson executives will continue in leadership roles and work with ABRC senior leadership to ensure the thoughtful integration and expansion of the business going forward.